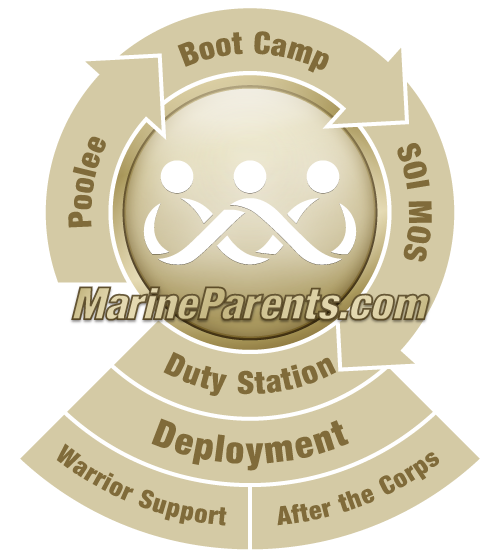 The MarineParents.com family of websites receives over 10 million visitors each year. The Marine Parents newsletter, published twice monthly, goes out to over 53,000 recipients. Statistics are based on data from March, 2014. We offer three ways to advertise on MarineParents.com: 1) rotating banners at the top of all web sites, 2) newsletter advertising, and 3) hotel and business listings. Description Banner at the top of each web site. Shared rotation. Click-through to link of your choice. Image plus short tag line in the "sponsors" section of the newsletter. Newsletter sent out every two weeks. Click-through to link of your choice. Note: The cost of newsletter advertising is the same for both the Marine Parents Newsletter and the Recruit Parents Newsletter. Hotel Listing Description Chart of hotels near the Marine Corps Recruit Depots available on either San Diego Hotels or Parris Island Hotels page. Other advertising may be purchased in addition to hotel listings. Specifications Includes hotel or business name, phone, web site, hotel rate information, and amenities. Text only; no images. Up to 5 lines of text below the name of the hotel or business. Hotels and businesses are listed in alphabetical order. Terms and Conditions: Advertising rates subject to change without notice. Web site advertising campaigns run for 30 days based on calendar month. Newsletter advertising rates are per newsletter edition. Advertiser is responsible for supplying ad copy and gif or jpeg images 5 days prior to start of the campaign. All advertising must be paid in full in advance of the service. Reservations for advertising are accepted with a 50% deposit and balance due 10 days prior to beginning advertising campaign. Design: Hourly rate of $60 will be charged for designing a gif or jpeg. Requests for designs must be made 10 business days prior to start of advertising campaign. Right to Refuse: MarineParents.com, Inc. reserves the right to refuse advertising from any company or organization.